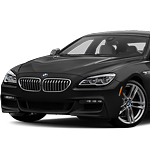 The BMW 6 Series of luxury sedans include the Gran Turismo, the Gran Coupe, and the Alpina B6. These popular vehicles include high-performance features like 300-horsepower engines and 8-speed transmissions. These high-performance components create many powerful torsional forces. To tame these forces and promote greater driver and passenger safety, the experts at BMW offer the proprietary active roll stabilization and safety system. The active roll stabilization system makes use of a network of sensors to control the attitude of the car body during corners and other high-intensity maneuvers. This system helps to maintain optimum stability and improves performance. Individuals who enjoy driving sporty cars will likely be interested in the virtues of BMW sedans. The good news is, here at our location in the Saint Louis area we offer our Autohaus BMW clients access to our test drive ready 6 Series sports cars. To take advantage of this offer now, drive by our place today.